Labor Day is the Last Day of Summer- Deal With It | Ooh Something Shiny! I can’t help but think that my blog must be horribly disappointing to a lot of these searchers. 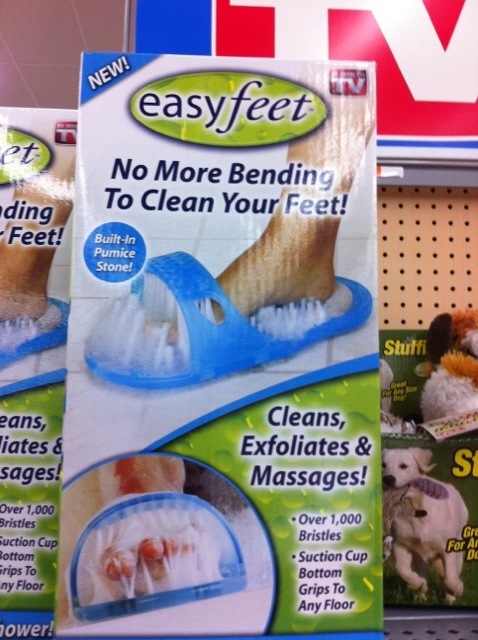 No more bending to clean my feet??? Thank you Jesus!! I may just start showering again! 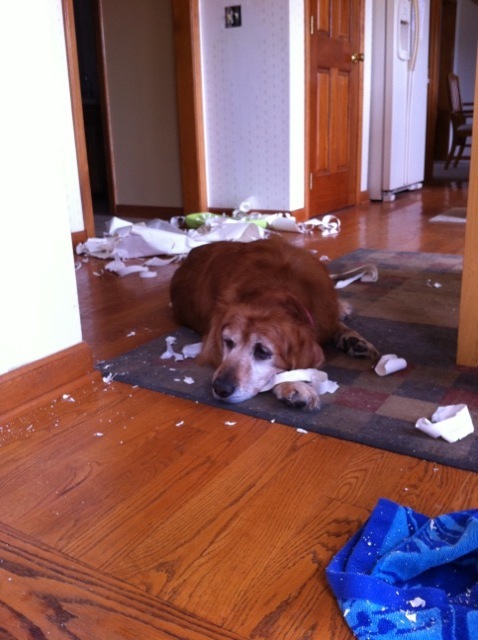 Sharkdog is taking a break from Doghenge to help us strip the kitchen wallpaper. My husband saw her and wanted to clean the wallpaper scraps off of her. I wanted to take a picture. So if you ever watch America’s Funniest Home Videos and wonder who sees their kid fall off a swingset and break their arm and grabs a video camera instead of taking them to the hospital, now you know. Hope you’re having a great Labor Day Weekend!